To Arctic Indigenous Peoples, the message in the Arctic Climate Impact Assessment (ACIA) is clear and stark: human-induced global climate change is happening in the Arctic now and will accelerate in decades ahead with dramatic and widespread impacts, effects and consequences. With summer sea-ice reduced by the end of the century to a remnant in the vicinity of the North Pole; the projected decrease and possible disappearance of polar bears, walrus, and some species of seals; disruptions to the migratory patterns of caribou and loss of reindeer habitat; the possible disappearance of traditional fisheries; and wholesale changes to coastal zones, permafrost and treed areas, and settlement patterns; the ways of life of Arctic residents, particularly Indigenous Peoples, are at risk. Global climate change will drive and determine social and economic development throughout this vast region in the 21st Century and beyond. What is to be done about it is the challenge of our times. 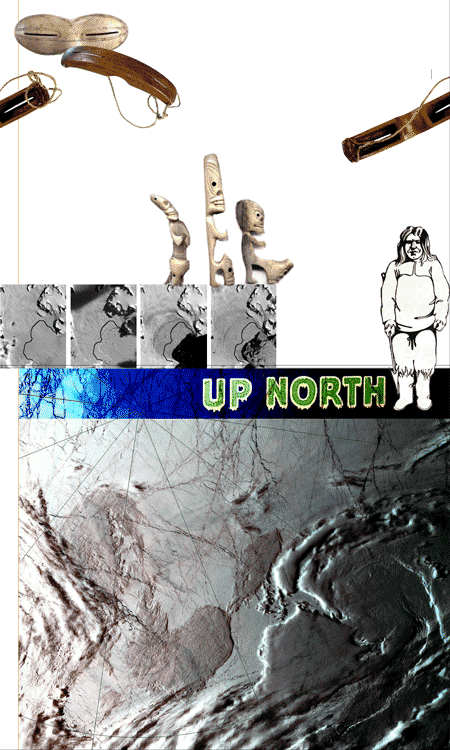 To Arctic Indigenous Peoples climate change is a cultural issue. We have survived in a harsh environment for thousands of years by listening to its cadence and adjusting to its rhythms. We are part of the environment and if, as a result of global climate change, the species of animals upon which we depend are greatly reduced in number or location or even disappear, we, as peoples would become endangered as well. For some years we have seen and reported environmental and social impacts of global climate change. Climate change is already threatening our ways of life and poses everyday, practical questions, such as when and where to go hunting, and when and when not to travel. Indeed, the findings of the ACIA show that the Arctic climate is changing twice as fast as that of the rest of the world. There is very little time for Indigenous Peoples and the resources on which we depend to adjust and adapt. Worldwide ecological impacts that result from global climate change are first noticeable in the circumpolar North, explaining why this region is often characterized as the globe's "barometer" of environmental health. It is also why in 2003 the Governing Council of the United Nations Environment Programme (UNEP) called for increased monitoring in the Arctic. Alteration of the Arctic climate is very likely to affect the rest of the world through increased sea levels and increased warming of lower latitudes causing major economic and social disruption. What is happening to us now will occur to others further south in years to come. > tupilaks or snow goggles. what do we need to see what's going on up north?